I fell in love with this vehicle. It became one of the best vehicles I ever owned. 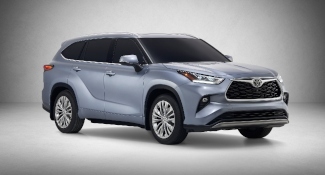 Every thing from the very nice sounding JBL sound system to the V6 engine this suv would get you there and make the drive fun and comfortable. The V6 engine was very quick and handled the suv with ease. I had a sunroof which making drives to the beach fun and exciting. It also had plenty of room for the family and even the dog. 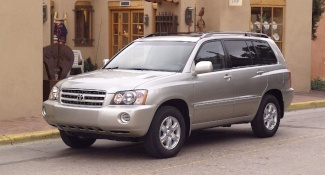 I used this suv for many road trips and it handled great. The leather seats were really nice and the seat warmers were a nice addition but weren't really needed since I stayed in FL. If you want a nice size vehicle for the whole family with room to spare this is the one for you. You also get Toyota quality that's sure to last a long time. I still used this vehicle daily and its going on 8 years old. I have never had and major issues at all with the vehicle besides normal wear on tires etc. If you like to take road trips get this vehicle. At 8 yrs old the a/c still blows cold like day one. I have turned this vehicle into a car audio project and let me tell you. There is enough room for all the speakers you can muster. Didn't need the heated seats but they worked fine a little narrow feel. When I initially bought it, it was very reasonably priced around 26,000. Gas mileage was good and was very smooth. Over time, there weren't any significant issues with the car, mostly common ones. Despite having this car for so long, everything in it works well. The air conditioning still works great, car still runs smooth. I've had this car for over 13 years now and I couldn't be happier. We went on a road trip with the family to Michigan about 6 years ago. The terrain changed pretty much every 10 miles, but despite that, the highlander was extremely smooth. Great gas mileage, smooth on any type of terrain, and there were never any significant problems with the car. Lasted me over 10 years and still works as if it was brand new. The seats are very comfortable and there were hardly any stains that were hard to remove on it because of the material. Great room in the back despite not being a huge vehicle. Plenty of space for suitcases or any other storage in the back. Enough room for a 3rd row so there can be a lot of people in the car at once. It is obviously not a sport car, but compared to similar SUV's, the acceleration of it is not as much as one would want. It takes a much longer time to get to the desired speed than a similar sized SUV would take. If the 3rd row seats are in the rear, there is very little leg room for the people in the back and it would have to be children, because adults can't fit back there. When we first purchased the Toyota Highlander, we were expecting our third child and we were looking for additional space for our growing family. In that respect, this vehicle did not disappoint. It has ample leg and seating room, and we were all able to comfortably fit in the car for a trip to outstate Minnesota, complete with luggage, baby chairs, bottles, diapers, etc. The interior is very plush and luxurious, and we had all of our creature comforts at the touch of a button. We felt quite safe also knowing that this vehicle could convert back and forth from all wheel drive to front wheel drive, depending on what our needs were. In addition to this great feature, we found the gas mileage, both in and out of town on the highway, to be very economical. I am the lead foot in our family, so I found its acceleration features to be very appealing, especially when chauffeuring kids to and from practice, dance lessons, musical practice, etc. What I did not anticipate were the repair bills so soon. When we purchased the vehicle, it had just over 20,000 miles on it, and we purchased it from the original owner who had it parked in the garage most of the time. We kept up to date maintenance records for the last four years, and just recently we have had to pay out almost $4,000 in repairs just to keep it functional for our family. This was unexpected, and not appreciated. I don't know if we got the short end of the stick, so to speak, when we chose this particular vehicle or if this is characteristic of all Toyota Highlanders. It leaves me with a sense of apprehension in choosing our next vehicle. I can honestly say I'm less likely now to choose something off the Toyota assembly line, having been through our particular experience with it. Our incident might be an isolated one, but it is one that has impacted our family greatly, as of late. Please consider looking at all reviews on a vehicle before purchasing, as you want to know what you are getting into. We have had some diaper fiascoes in the back of this vehicle. What happens in the car stays in the car!